And so begins a wonderful, magical summer. 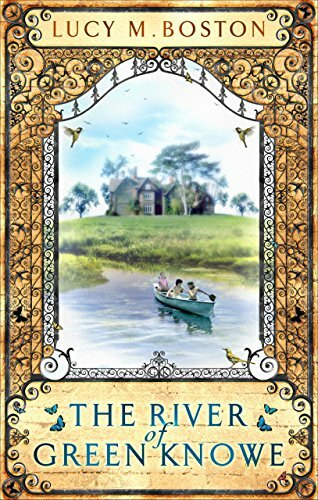 Ida, Oscar and Ping are staying with Ida's great-aunt at the ancient, river-encircled house of Green Knowe. They set out to chart the river in the canoe, and soon discover that it has some surprising and mysterious secrets. Lucy Boston was born in Southport, Lancashire. She was one of six children and went to Quaker school in Surrey. After marrying she moved to a beautiful manor house near Cambridge, which provided the setting for her Green Knowe stories. She won a Carnegie Medal for A Stranger at Green Knowe. The illustrations are by her son, Peter.